Those of you looking to trade Forex in Russia will be interested in all the relevant and up-to-date information available in order to gain a thorough understanding of the market, and thereby increasing your chances of success. When Forex trading first started in Russia there were only a handful of traders taking part. But ever since 1990, Russian interest in the Forex market has expanded considerably. Nowadays there are thousands of traders and quite a number of Forex brokers. A number of the most successful Forex brokers in Russia have grown to encompass the global Forex market, but there is still room for more development in the domestic Russian market. The Russian economy has been developing in recent years, together with its participation in the global economy. The Russian government decided to introduce the convertibility of the ruble because it wanted to help the country’s transition into a true market economy. However, it has since changed from multiple exchange rates, to managed floating rates to soft peg. An important currency for exchange in Russia is the US dollar. But the Russian Ruble hasn’t been forgotten, as it is an important hard currency because of the changes taking place in the Forex market in Russia. These changes included price liberalizations, in 1992. Holding hard currency reserves is allowed in Russia, and many Russian citizens choose to convert their rubles into dollars and vice versa. Thereby benefiting from exchange rate fluctuations. Earlier on in history, foreign exchange was only possible through public auctions. But in 1989, when Russian authorities decided to introduce flexibility in exchange rates, things started to change. The first currency exchange was set up in 1991, by the Central Bank of Russia. It was named the Moscow Interbank Currency Exchange (MICEX) in 1992, and has been the body through which foreign currency trading is carried out ever since then. Essentially, however, the Forex market is regulated, moderated, and controlled by the Central Bank of Russia. It has the power to issue special foreign exchange licenses to commercial banking institutions, so is essentially in control of the internal foreign exchange turnover being generated. Regulation of the Forex industry is of vital importance, as well as regulation of all other financial products being offered to investors. This is because it creates a safe environment for investors to trade within and gives guarantees that those offering such products won’t shut down in the middle of the night and run away with all the cash. Companies now wanting to offer their services with regards Forex trading, have to obtain a Forex dealer license, if they wish to operate in Russia or target Russian citizens The regulations include strict rules for the marketing of their services and rather demanding provisions in relation to client funds protection. The law has also recently introduced restriction on the maximum permissible leverage. Rather unpopularly, they set it as 50:1. 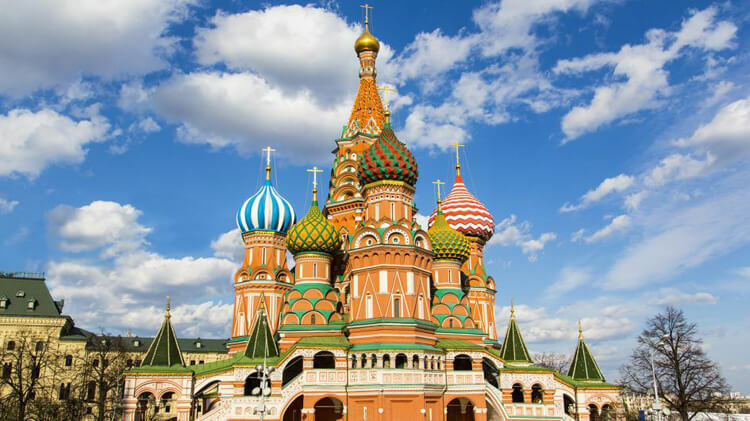 Those Forex brokers in Russia wishing to operate had until January 2016 to obtain a licence, and the first Russian Forex brokers to be granted one have now been announced. There is another regulatory body that functions as a regulatory body, CRFIN, but is more of a self-regulating body. Wherever you reside there are a number of important considerations to bear in mind when choosing the best Forex broker. It’s not that difficult a decision to make, providing you bear a few things in mind. But should you just pick one randomly out of the hat, you could stand to make some sizeable losses. Picking the right broker is an important part of Forex trading. Follow these 3 simple steps and you’ll be able to narrow down your choices, before getting in touch with a few different brokers. Step one – Do your research – There are a few things you should be looking out for when choosing the best Forex brokers in Russia. Are they registered with any regulatory bodies. It is quick and easy to undertake an online search with the different regulatory bodies. Think very carefully before choosing one that isn’t registered or licensed. Find out whether the broker has a dealing desk. Are fixed or non-fixed spreads offered. How much leverage is allowed? If it is more than 50:1 then it’s not going to be a broker that is registered with the Russian regulatory body. Step two – Make comparisons – There are a number of sites who will do this for you, or take the old fashioned route and use a pen and paper, and make a list of your own. Step three – Open a demo account -Find a couple of brokers you like the look of and open up a demo account. Try trading in different market environments and learn the features of the different trading platform. And don’t be afraid to ask questions. This will also be a great opportunity to check out the level of customer service.